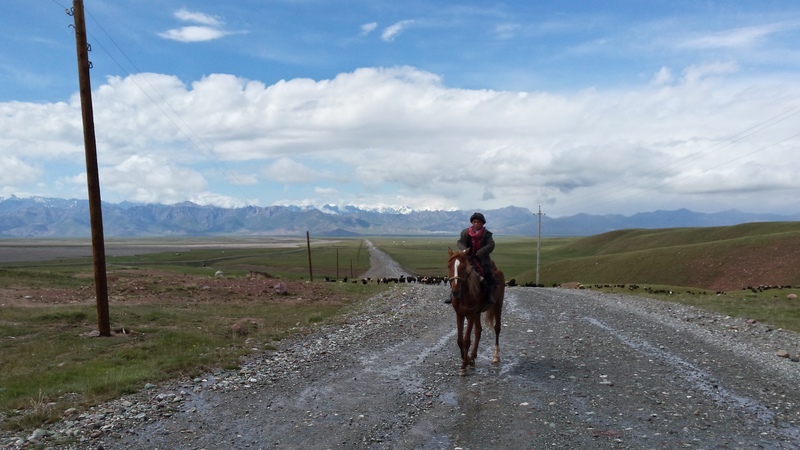 The weather threw everything at us as we left the roof of the world. Our headwind remained. 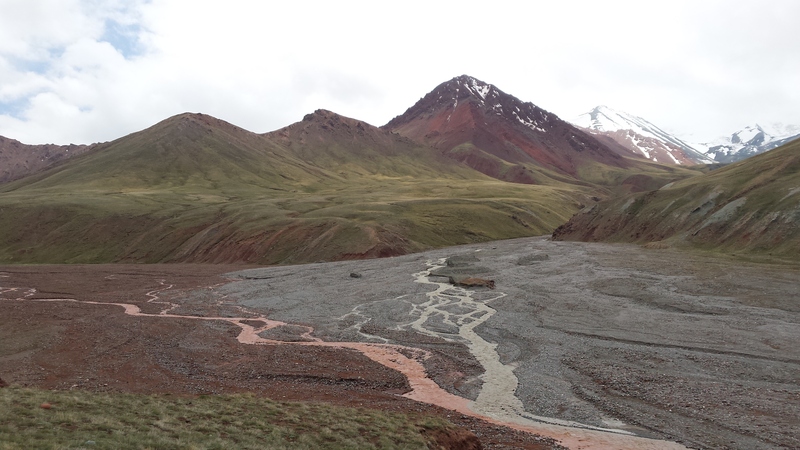 It snowed over the pass on the border with Kyrgyzstan, and pissed down as we descended. Then the sun broke, the tailwind was rolled out, and we crossed the most spectacular valley flanked with massive snowy peaks. 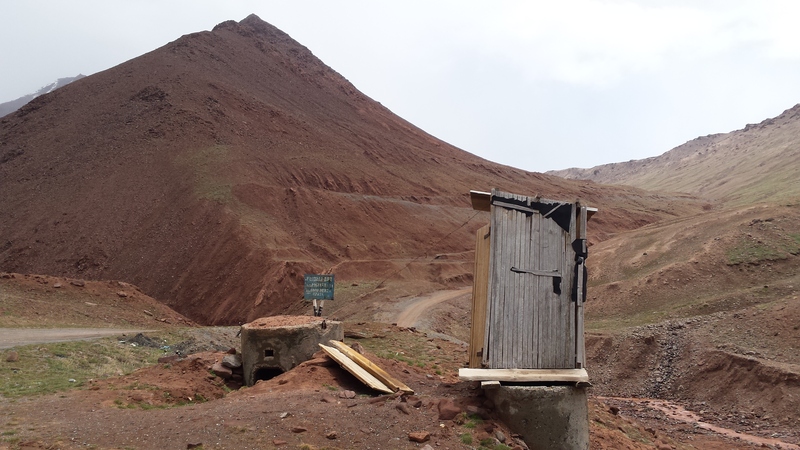 Welcome to Kyrgyzstan. 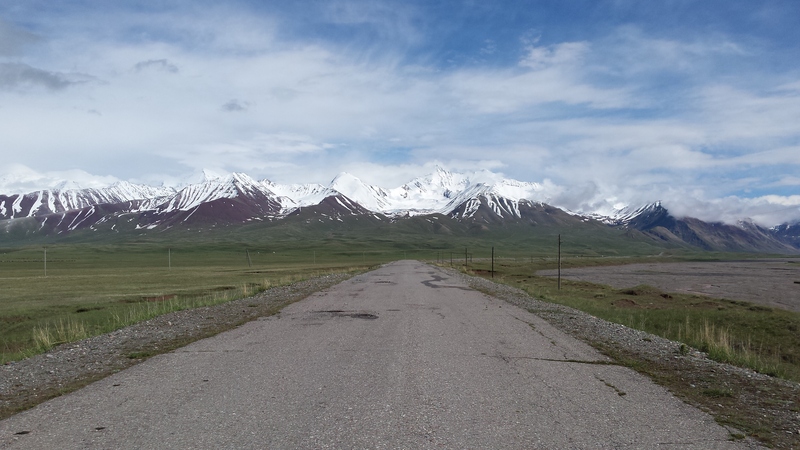 One of my favourite videos is ‘The Road to Karakol’. A mountaineer cycles around Kyrgyzstan, climbing peaks, and nearly dying as he has to cross a raging river. The video is funny, the scenery is spectacular, and it gets me emotional whenever I see it. In one scene, the cyclist has a race with a little boy on a horse. Today I saw that little boy on a horse, shepherding his sheep. Cycling down across a wide valley with spectacular mountains as a backdrop, I couldn’t help but think about the film. 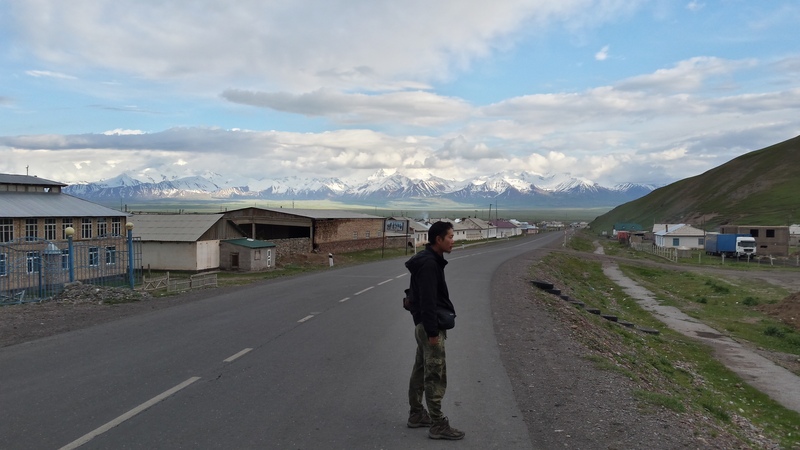 I am here in Kyrgyzstan, in the ‘Switzerland of Central Asia’. The descent was muddy and wet. The little town of Sarytash felt like a small step back to civilization. There were shops with things to buy, and it all felt a bit wealthier. Still no showers, though. Will you be continuing through winter this year or taking the season off in warmer climes again? Oh ok. I was worried you might get cold. Hehe.